Our Continuing Education (CE) program is designed to support certifications related to U.S. Federal Government requirements. 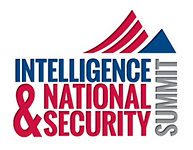 Several Intelligence & National Security Summit sessions have been approved to meet CompTIA, GIAC, and/or Logical Operations, and may also support (ISC)2, National Contract Management Association (NCMA), Project Management Institute (PMI), GAGAS, and Defense Acquisition Workforce continuing education and/or certification maintenance requirements. Formal attendance documentation is a benefit of AFCEA membership and a service provided to INSA members. Participation in an event session qualifying for CompTIA CEUs, GIAC CPEs, Logical Operations CECs is required. On exiting the session, get your event badge scanned so that we can document your attendance. We will email documentation of attendance to AFCEA and INSA members by October 12, 2018. Download the continuing education flyer for INSS 2018 here.